We take your move personal. Select experienced local and long distance relocation experts. Make the call today! 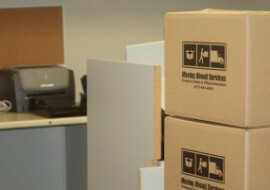 Efficient business relocation services for your office move. Reduce downtime and costs with our trusted professionals. Moving, packing, storage services and more for local and long distance relocations. Learn about the Moving Ahead Services difference today! Schedule your move with experienced professionals. Our veteran owned business is looking forward to serving you. Choose the award winning experts at Moving Ahead Services for your next move, and enjoy peace of mind and professional service and support. We are a local and long distance moving company for your home or business. Start with a free moving quote and experienced planning from day one! Enjoy open, available communication and a variety of resources to make your move an easy transition. Work with our planning team for residential moves, corporate relocation packages, military moving, business office moves and more. 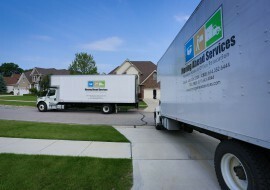 View moving services, get your moving quote, shop moving supplies and more to plan your move today! Moving Ahead Services is a locally owned and operated moving company. Our movers have completed extensive screening and training to provide unrivaled industry quality. Our comprehensive approach will cover every single aspect of your move! View online or call us direct today - We are here to serve you! 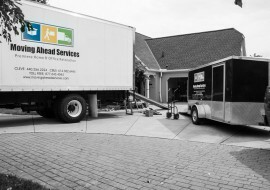 Moving Ahead Services has the skill, experience, and high customer service standards that you deserve on your move. Whether you are interested in hiring long distance movers or are simply looking to hire help to safely transport your possessions within Ohio, it is important to only work with a trusted, proven service provider. Call us at 1-877-643-4044. 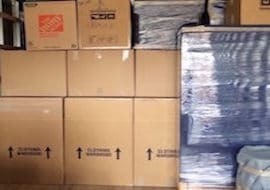 Moving Ahead Services is appropriately licensed and insured, and we take full responsibility for the safety and security of all of your possessions while they are in transit from one location to another. When you do business with Moving Ahead Services, you are granting yourself peace of mind. With years of experience and knowledge in the moving industry, we will be able to help you with every aspect of your relocation. 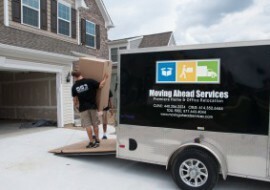 Moving Ahead Services specializes in residential relocation for long distance moving. Licensed and insured, our experienced professionals have undergone extensive screening and training, successfully completing thousands of moves each year. Our local moving services are available across the state of Ohio. Enjoy award winning service, customizable packages and zero surprises. Select moving labor, packing services, storage and more. Long term and short term storage solutions in secure storage, monitored 24/7 at each of our locations. Select storage along with your move for an easy transition! Convenient junk removal services can be scheduled in conjunction with your move, or simply call us for extra help around the house! Our junk removal rates are competitive and we treat your home with care.